Over the last few years, you’ve watched drug addiction grab your friend and pull them into its ugly grip. Sadly, your friend can’t seem to break away from abusing various substances like opiates, alcohol, methamphetamine, and even prescription drugs like Xanax. You even caught them popping benzodiazepines the other day and are worried about their physical and mental health. Your concern is more than understandable in this situation. Unfortunately, drugs have a nasty ability to steal a person’s mind and to trap their body in an addictive cycle from which it can be hard to escape. Heroin, benzos, opioids, and much more also contribute to serious issues such as trauma, PTSD, anxiety, and depression. Unfortunately, these mental health problems can also trigger more severe side effects. Thankfully, there are still things that you can do to save your friend and bring them back from the brink of the addictive abyss. The following five techniques are the best ways that you can help a loved one beat their dependency on various substances. These methods have been carefully studied and tested over the years and provide the best way to literally save your friend from killing themselves. Thanks to A&E and its show “Intervention,” generations of individuals understand how this process works and the benefits that it provides. In fact, a study of the show’s success rate showcased a rather staggering reality: intervention really does work. As reported by the Business Insider, “Intervention” helped 98.7 percent of all people on the show receive help with 55 percent of those individuals staying sober. These success rates showcase that intervention is often the best way to get a person into treatment and to give them the chance to beat their drug dependence. Sadly, statistics published by the group “Family Intervention” reveal another side of the intervention story that rarely gets discussed. They claim that only 10 percent of the people who contact them – typically well within the thousands every year – actually stage an intervention for their loved one. Why do so few people go through with this powerful healing method? Simply put, many have given up on their friends or loved ones or don’t think that an intervention will help. Others likely believe that their loved one will continue to use substances even after intervention. The heavily-emotional nature of an intervention is often a tough experience for many people to get through without severe emotional scars. However, those misunderstandings are no excuse for letting a loved one suffer addiction for one second longer than necessary. The high success rate of interventions indicates that they work. However, you need to make sure that you approach an intervention properly. For example, a group intervention is typically the best bet because they make an individual fully understand the scope of their problem in a visual way. And a successful intervention typically focuses on the family members or friends of the addicted individual. While there are professionals who can provide some help staging an intervention, getting them to confront the addicted person typically doesn’t result in much success when compared to loved ones staging an intervention. The addicted individual needs to understand how they are hurting their loved ones with their drug use. And the love that they feel for these individuals typically helps a person make the right step towards treatment. Your friend is understandably very sensitive about their drug use and has an unfortunate tendency to react poorly when you try to discuss it with them. However, you just don’t have the option to put on your kid gloves in this situation. Somebody with an addiction is typically in a life-and-death struggle, and you can’t afford to let potential hurt feelings get in the way of care and treatment. That’s why companies like Healthline state that honesty is indeed still the best policy when it comes to getting your loved ones into treatment. 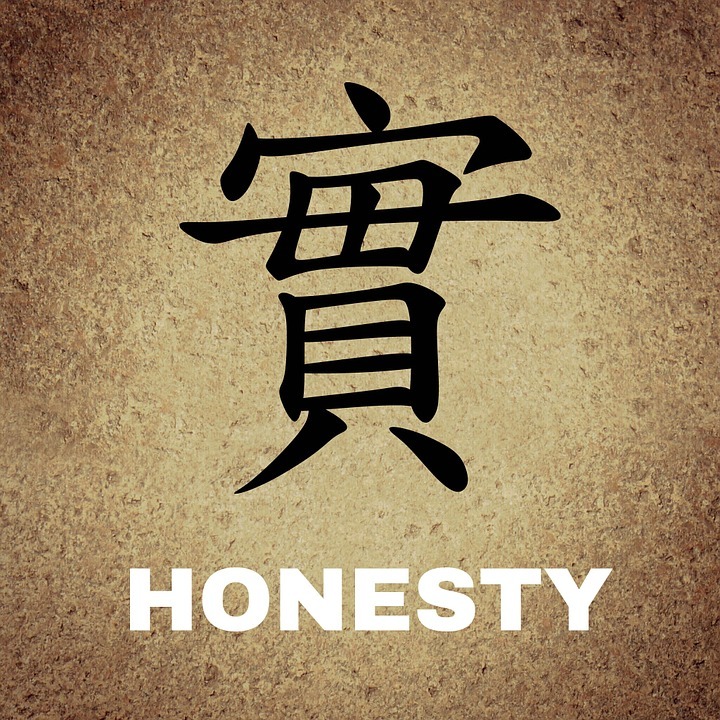 Honesty doesn’t mean cruelty or unnecessary brutality in language and approach. Treating your loved one like scum or berating them for their addiction is not the right way to go. All that you’ll likely do is make the situation even worse. Instead, honesty means that you must talk to your friend about their addiction in a frank way. Describe the ways that they have changed, bring up past incidents that have scared you, and express how much that you love them. In many cases, your friend may respond with anger but may also appreciate your honesty and look to it as a guiding light for their own lives. In fact, many professional care providers state that anybody who is trying to go through addiction recovery not only needs to be honest with their care but must also expect honesty from others. There can be no rule breaking or ignoring issues when it comes to this problem. Instead, you must state your feelings as a friend in a way that you would want to be treated – with respect and dignity. Addiction is a physical and mental problem and very quickly overpowers a person’s ability to fight it off. Even people who successfully go clean and stay off substances for years might find themselves relapsing. And if your friend does relapse, you need to embrace them with open arms and do what you can to help them overcome this issue. Too many people in this situation chose the opposite route and think that their friend failed in their fight against addiction. Ideas like that are wrong-headed and not accurate with reality. For example, American Addiction Centers estimates state that around 40-60 percent of individuals who quit drugs relapse at some point in their life. Medical specialists point out that this relapse rate is similar to the relapse rate of other diseases like asthma or diabetes. Therefore, you cannot treat your friend like a failure or look at their relapse as a moral problem. Relapse is like a recurrence of symptoms in any disease and must be treated as such. Unfortunately, addiction is such a unique disease because it changes a person physically, mentally, and behaviorally. In an article on addiction, the National Institute on Drug Abuse stated that taking drugs floods a person’s brain with dopamine to make them feel high levels of pleasure. Once a person becomes addicted to a drug, their body causes withdrawal symptoms to forces their behavior to change to take the drug. As a result, relapse is something that most people fighting addiction will struggle to combat for most of their lives. Your job as a friend is to support your friend in this situation and to guide them back towards a sober lifestyle as quickly and as safely as possible. Be the bedrock on which they build their relapse defense system. Now that you’ve gotten your friend’s attention and they are ready to quit drugs, you should try to create a sobriety group for them. While you can still provide support when they need it and be a shoulder for them to cry on, you don’t truly understand their problem the way that somebody who has used drugs before will appreciate them. 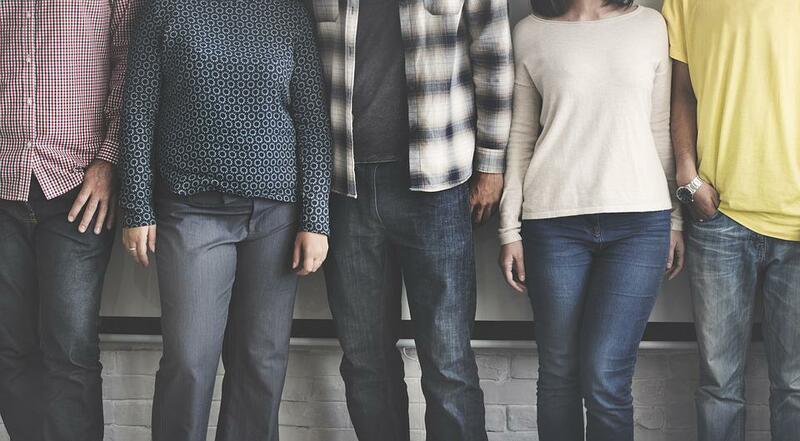 Thankfully, a peer group can provide your friend with a group of individuals who do understand the dangers of drug dependence and how to get over them. For example, a study entitled “Benefits of Peer Support Groups in the Treatment of Addiction” concluded that sober groups were a promising way of helping people overcome addiction. Simply put, they provided a safe place where a person could talk about their cravings, vent about legal issues, and get care and attention from people who have been in similar situations in life. And in another study, “What Did We Learn from Our Study on Sober Living Houses and Where Do We Go from Here?” it was found that sobriety hopes and peer groups created a more supportive atmosphere for individuals struggling with addiction. These homes often took many people out of dangerous and unhealthy living situations and provided them with the care and love they needed to beat their habit for good. The creation of a sober group doesn’t mean that you are done helping your friend overcome addiction. They might still need your helping hand to get through hard times and are likely to reach out to you in a variety of challenging ways. For example, they may need your help getting into rehab and staying focused on their overall detoxification and dual diagnosis treatment success. All of the following steps above should be focused on getting your friend to accept the most successful method for overcoming their problematic dependency: rehab programs. While drug rehab programs don’t have a 100 percent success rate, they are still the best chance that your loved one has of beating addictive behaviors. Their recovery in these programs is typically fueled by their dedication to the process and their willingness to fight for their lives. For example, Psychiatry Online found that individuals who went through rehab could detox and go through the 12 step program in a way that profoundly improved their overall success over those who did not attend a rehab program. However, this group also found that a person couldn’t fully recover from addiction in these facilities without getting dual diagnosis treatment for their mental health problems. Dual diagnosis, as reported by Science Direct, is a treatment method that focuses on helping a person overcome the tight grip of psychological issues paired with drug addiction. These problems have a nasty way of combining with each other and fueling a degradation of both in a person’s life. For example, a person may become addicted to alcohol as a way of coping with stress. However, excessive drinking and alcoholism cause them more stress which, furthermore, triggers more drinking. Dual diagnosis works to identify the addiction triggers that cause a person to use and to understand why some people succeed in rehab while others fail. Some individuals may have a death wish or issues with self-loathing that cause them to abuse substances at a high level. Others may just have high levels of depression that make it hard for them to take their drug abuse seriously. A high-quality dual-diagnosis program can provide an individual with the chance not only to overcome their mental health problems but to beat drug dependence for good. No matter if a person uses benzos, heroin, cocaine, methamphetamine, or prescription opioids, dual diagnosis paired with intensive detox and the 12 step program can help an individual regain a sober and happy lifestyle. As you can see, there are many steps that you can take to help your friend overcome their reliance on drugs. You need to keep a calm head, a steady hand, and fully understand why your friend has fallen into the grip of addiction. With your help and the care of real professionals, you can guide your loved one back to the land of sobriety and help them stay clean and dry for the rest of their lives. However, you just can’t help your friend without finding someone to assist you. The burden of singularly assisting a friend in their fight against addiction is a burden that nobody should shoulder on their own. In fact, doing so might trigger your self-esteem issues or cause mental health problems like depression, anxiety, and even trauma. That’s why you should reach out to us for help. Our professional detox and dual diagnosis experts have seen just about everything when it comes to addiction. We have had to deal with people who didn’t want to quit and those who were ready to give up but who couldn’t do it on their own. Even better, our care providers have also helped individuals regain a healthy diet and find work when they were done with their rehab experience. So please, please, don’t hesitate to contact us today to learn more about our operation. Our operators are often individuals who have gone through treatment themselves. As a result, they likely understand your friend’s problem even better than you. With their help, you can understand how to approach your friend about their issue and can help your friend choose the best treatment plan for their needs.